Take it skiing, snowboarding, sledding, snow shoeing or ice skating. Can handle rough conditions, including drops from up to 7.9 ft. high. Take it to the beach, the ball field...any place that gets dirty. 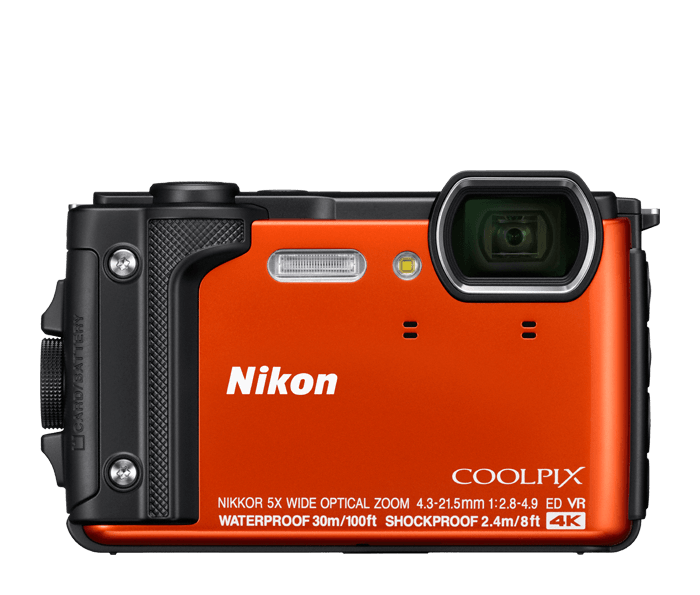 The COOLPIX W300 is more than a camera; it's a useful travel companion. Whether you're illuminating a subject or trying to see your map, the COOLPIX W300's bright LED light will come in handy. Taking great photos of the people and pets we love is easy with the COOLPIX W300. A scene mode available on select Nikon digital cameras that lets you view maps that are built-into the camera's memory.